What is Open FAIR™ and Who is The Open Group? Risk Practitioners should be informed about the Open FAIR body of knowledge, and the role that The Open Group has played in creating a set of open and vendor-neutral standards and best practices in the area of Risk Analysis. For those not familiar with The Open Group, our Security Forum has created standards and best practices in the area of Security and Risk for 20+ years. 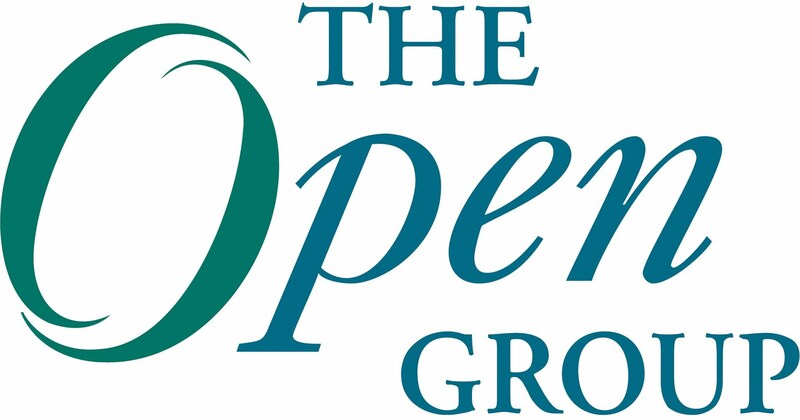 The Open Group is a consensus-based and member-driven organization. Our interest in Risk Analysis dates back many years, as our membership saw a need to provide better methods to help organizations understand the level of risk present in their IT environments. The Open Group membership includes over 550 member organizations from both the buy-side and supply-side of the IT industry. The Security Forum currently has 80+ active member organizations contributing to our work. In 2007, Security Forum Chairman Mike Jerbic brought the Factor Analysis of Information Risk (FAIR) to our attention, and suggested that it might be an interesting Risk Analysis taxonomy and method to consider as a possible open standard in this area. FAIR's original author Jack Jones and his then partner Alex Hutton agreed to join The Open Group as members, and to contribute the FAIR IP as the basis for a possible open risk taxonomy standard. We collectively refer to these two standards as the Open FAIR body of knowledge. In late 2013, we also commenced operation of the Open FAIR Certification Program for Risk Analysts. In early 2014, we started development of an accreditation program for Open FAIR accredited training courses. The current list of accredited Open FAIR courses is found here. If you are with a training organization and want to explore accreditation, please feel free to contact us, and we can provide details. We have also created licensable Open FAIR courseware that can enable you to get started quickly with training on Open FAIR. Future articles will dive deeper into the Open FAIR certification program and the accredited training opportunity. It is worth noting at this point that we have also produced some hard copy Open FAIR guides that are helpful to candidates seeking to certify to Open FAIR. These are accessible via the links below, and are available at a nominal cost from our publishing partner Van Haren. In addition to the standards and best practices described above, The Open Group has active workgroups developing the following related items. Stay tuned for more details of these activities. If any of the following projects are of interest to your organization, please feel free to reach out to learn more. Open FAIR to STIX Mapping Whitepaper. This group is writing a whitepaper that maps the Open FAIR Risk Taxonomy Standard (O-RT) to STIX, a standard which originated at MITRE, and is being developed by OASIS. Open FAIR Process Guide project - This group is writing a process guide for performing Open FAIR-based Risk Analysis. This guide fills a gap in our standards & best practices by providing a “how-to” process guide. Open Source Open FAIR Risk Analysis tool - A basic Open FAIR Risk Analysis tool is being developed for students and industry. Academic Program - A program is being established at The Open Group to support active student intern participation in risk activities within the Security Forum. The mission is to promote the development of the next generation of security practitioner and experience within a standards body. Integration of Security and Risk into TOGAF®, an Open Group standard. This project is working to ensure that future versions of the TOGAF standard will comprehensively address security and risk. The Open Group Security Forum is a member-led group that aims to help members meet their business objectives through the development of standards and best practices. For the past several years, the focus of our work has been in the areas of Risk Management, Security Architecture, and Information Security Management standards and best practices. ‘Member-led’ means that members drive the work program, proposing projects that help them to meet their objectives as CISO’s, Security Architects, Risk Managers, or operational information security staff. All of our standards and best practices guidance are developed using our open, consensus-based standards process. The standards development process at The Open Group allows members to collaborate effectively to develop standards and best practices that address real business issues. In the area of Risk Management, most of the publications noted above were created because members saw a need to determine how to apply Open FAIR in the context of other standards or frameworks, and then leveraged the entire Security Forum membership to produce useful guidance. It is also worth noting that we do a lot of collaborating with other parts of The Open Group, including with the Architecture Forum on the integration of Risk and Security with TOGAF®, with the ArchiMate™ Forum on the use of ArchiMate, an Open Group standard, to model Risk and Security, with the Open Platform 3.0™ Forum, and with other Forums. We also have a number of external organizations that we work with, including SIRA, ISACA, and of course the FAIR Institute in the Risk Management area. Our future work in the area of Risk Analysis will likely include other cookbook guides, showing how to use Open FAIR with other standards and frameworks. We are committed to meeting the needs of the industry, and all of our work comes from members describing a need in a given area. So in the area of Risk Management, we’d love to hear from you as to what your needs are, and even more, to have you contributing to the development of new materials. For more information, please feel free to contact me directly via email or via linkedin.